Apple had released a new macOS for Mac desktops and notebooks. This was actually an impressive new refinement. Upgrading to the new macOS High Sierra is a very simple task that you can do on your own. It will not require you to put in more effort and time on doing this. In this article, we are going to show you why and how you can upgrade to the new macOS High Sierra. Part 1 : Why you should upgrade to macOS High Sierra? Part 2 : How to Prepare Your Mac for macOS High Sierra Upgrade? Part 3 : How to backup Mac before the upgrade? 4 Options to Fix Mac White Screen. Here is Real Fix! The reason why you should upgrade your Mac desktop or laptop is for you to have the new and improved AFPS file system, for you to have a faster experience in browsing, a stellar graphics, VR support and a better experience when it comes to your gaming life. This what the macOS 10.13 offers you. If you also want to give a boost to your Mac, then upgrading to macOS High Sierra is the ideal thing to do. This is because the new upgrade can give you a compressed video up tip 40% more which will result on having more space and speed on your Mac. The macOS High Sierra also comes with a new and improved Photo app which will provide you with some professional tools that you can use. Now that you are fully decided to upgrade your Mac to the macOS High Sierra, then its time to prepare for the upgrading process. However, please keep in mind that the beta version may not have all of the features. Because of this, if you are aim is to upgrade with some features, then you must make sure that those features are all included. Now, there are different ways with how to prepare for the upgrade. You have to make sure that the macOS High Sierra is compatible with the model of Mac that you have on hand. If your Mac is an edition ranges from the year 2009 up to the newer version, then there is a huge chance that you will be able to run the macOS High Sierra without having any issues. This is very important because once that your Mac is clean, then it will continue running smoothly during the upgrade. Making a complete cleaning on your Mac actually includes many files to be removed on your Mac such as your duplicate documents, photos, cache, files, and other things that you no longer need on your Mac. For you to completely clean up your Mac, then we highly recommend you to use the iMyMac Cleaner. The iMyMac's Mac Cleaner will surely help you to clean up your Mac completely. 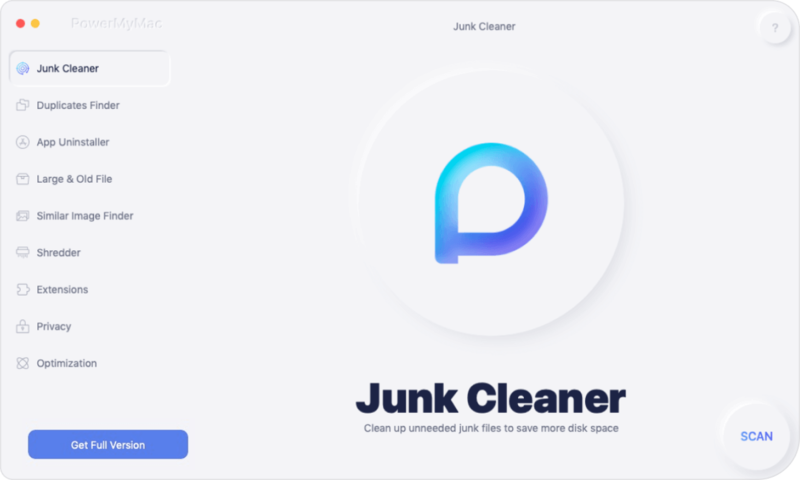 This is because the iMyMac Cleaner has the capability of deleting all your junk files quickly and safely which will give you more storage space on your hard drive. The iMyMac's Mac Cleaner can also find and then remove all of the email attachments that you no longer need. Your iTunes backup and your multi-language on your Mac that you do not need will also be located and deleted. The iMyMac's Mac Cleaner can also help you scan and then remove all of the large files that you no longer need. 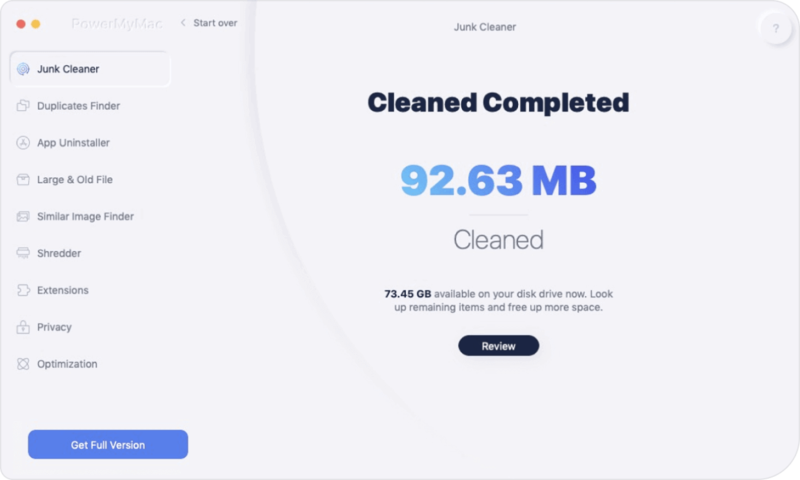 This is an all in one cleaner that you can count on in cleaning up your Mac before you make the upgrade. Here is how you can clean up your Mac using the iMyMac's Mac Cleaner. Let's start cleaning up with iMyMac's Mac Cleaner. First, go ahead and download the iMyMac Cleaner from our official website at www.imymac.com. After you have successfully downloaded the software from our website, go ahead and install it on your Mac. Once that you have completely installed the program on your Mac, go ahead and launch it. In the main screen, you will be able to see there your Mac system status. Step 2: Choose and Scan the "Junk File"
On the left side of your screen, there is a list of modules that you can do using the iMyMac Cleaner. Choose “Junk Files” from the list. Once that you have selected the module on the left side of your screen, you will be able to see a Scan button on the right side. Click that Scan button so that the iMyMac Cleaner will start scanning for all your junk files. Wait until the iMyMac Cleaner is done scanning all your junk files. 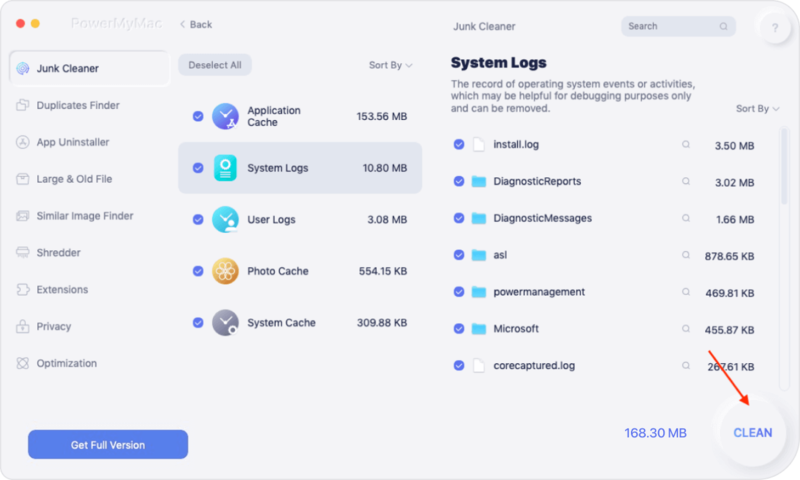 Once that the scanning process is complete, the iMyMac Cleaner will then be able to show you all of the junk files that you have on your Mac. These junk files will be shown to you in categories such as Application Cache, System Logs, User Logs, Trash Bin, Mail Junk, Photo Junks, and more. Choose the desired folder that you want to clean up. After choosing, go ahead and click on the Clean button. iMyMac will ask you to confirm the action to be done. You can confirm this by clicking on the Confirm button on the pop-up message. You can do the same process (from step 2 – step 5) for the module Clutter and Large and Old Files. Then that is it! Your Mac is all cleaned up using the iMyMac Cleaner. You will be able to see an indication on each folder that says “Zero KB” which means that the folder has nothing in it. However, there are some folders that do not show this indication. This is because these folders are auto recreated folders. After you are done with the cleaning process on your Mac, it is now time to check any issues before you proceed with the upgrade. Here is how you can check for the health of your Mac. Step 1: Launch Disk Utility on your Mac. Step 3: After that, click on the First Aid tab. You will be lucky enough if you have not found any issues on your Mac. However, in the case that you found one, then you can start repairing those issues first. Go ahead and restart and then hold the Command and R key for you to make some repairs using your Disk Utility. Being able to back up your Mac is one of the major things that you need to do. This is mandatory especially if you are going for the Beta version. This is for you to ensure that you will not lose any of your important data on your Mac. You can backup your data on your Mac by using one of the Apple’s software which is the Time Machine. Time Machine can save copies of anything that is in y our mac. It can make a backup of your data on your Mac in an hourly, weekly, daily, or on a monthly basis. Aside from the automatic backup that you can make using Time Machine, you will also be able to customize the process. You can backup your precious documents and files manually by going through with System Preferences. Also, for you to be able to use Time Machine, you would need to have an extra device for storage purposes. The bigger the storage capacity of your spare storage device, the better. You can choose from USB, SDD, NAS drive or from Thunderbolt hard drive. Of course, after you are done preparing your Mac for the upgrade, then it is time for you to go to the real deal. Here is a guide for you to upgrade your Mac in a more comprehensive, fast and safer way. You have to keep in mind that all of the major upgrades that will be done on your Mac needs a trusted network. This is for you to add speed, and for you to make a safe download of the upgrade and as well as installation. Because of this, the best option for you to have the upgrade is by doing this in the comfort of your home. This is one of the most necessary things to do when upgrading your Mac OS. This is because most of the Mac applications have an iCloud integrated part. So, if you are aiming to have a smooth operation in upgrading, then you have to log in your iCloud account for you to proceed. For you to avoid any problems that might occur, it is a mandatory action that you upgrade your current OS of your Mac to the latest one. Doing this will make sure that your Mac will become stable in upgrading it to the High Sierra. Also having your Mac OS update will be able to fix any bug issues on your Mac as it will eliminate them all. You can check for any updates on your App store. Also, it is very important to upgrade all of your third-party applications on your Mac to their latest version as well. In doing this, you can easily check the App store for any updates on your application. While on the other hand, for the apps that you have bought externally, then you have to upgrade them manually first. Once that you have downloaded the software from the website given, go ahead and launch your installer from your Applications and then click on the Continue button. You will be guided by an on-screen instruction which will make it easier for you to upgrade to Mac OS High Sierra. All you have to do from here is for you to follow those instructions carefully for you to avoid any error. After that, go ahead and ensure to have automatic updates from your System Preferences and from your App Store as well. This is for you to make sure that your Mac will have the best performance and for you to get the most out of it. Now, there you have it! It is really quite easy to upgrade your Mac to macOS High Sierra. All you need to have is the understanding of every step that you are going to make. Make sure that you follow every instruction properly and religiously. Also, it will come very handy for you to have the iMyMac Cleaner. This is one of the most helpful software that you can have on your Mac. Because, aside from the fact that it can help you clean up your Mac, it can also help you have more of your storage space on your hard drive and as well as for you to be able to boost up the speed of your Mac. Having the iMyMac Cleaner on your Mac together with the new upgrade that you have with macOS High Sierra, this could turn out to be a great tandem. As the High Sierra also boost the speed of your Mac, then the iMyMac Cleaner will give it a help in boosting it more and giving you more space for storage. This is by removing any folder, files, photos, junks, and other things that you no longer need on your Mac. Again, make sure that you have followed instructions carefully for you not to have any problems with the upgrade. Start by following the guide with how you prepare your Mac fully for the upgrade that you need to do on your Mac PC. Both of the software’s are really safe and will help your Mac’s performance as well. / Mac Cleaner / How to Upgrade to macOS High Sierra?